David Martin Kayondo is the founder and CEO of the Goldswans Group, a professional services firm focused on technological innovation, investment, advisory services and sustainable venture-building in emerging markets. One of the earliest challenges in my venture was starting up. I had always wanted to start and run my own business but felt that it was too big a risk to take and, therefore, spent many years in the corporate world, which was seen as a more secure career choice. So, initially I found it difficult to transition to become a startup business owner; the loss of corporate privileges and the financial safety net was a huge challenge. But I knew that I wanted to do this, so I engaged with like-minded individuals to brainstorm ideas, and also for support. Given my background in consulting, I tried innovative ways of working with a lean, agile, flat and decentralised organisational structure. Our approach is flexible and collegiate. There are two achievements I’m most proud of. Firstly, designing the firm’s website was a great turning point in our business planning. I had commissioned an external firm to do the job at a cost, but the output was quite disappointing. It’s not that their website wasn’t good, it just didn’t feel personal and reflective of our business roadmap. So I learned how to code (HTML and Python) to design the website myself. I wrote all the content, too. It took three years! More recently, I’m proud that we have started to engage more positively with emerging-markets entrepreneurs, especially in Africa. Our original plan was to create an innovative approach to support business development, facilitate access to finance and empower new skills sets. As you are aware, many startups fail within five years of their formation, so we want to help entrepreneurs to succeed, and to create sustainable employment for Africa’s youthful population. We are creating a platform with a business suite of tools that will drive this goal. Procrastination has probably been my greatest weakness. Although I can develop great ideas and execute them effectively, the time it took to launch those ideas was a challenge, and I knew that this would hold us back. In the early days we lost potential clients and partners because we were too slow in decision-making. So, I made what turned out to be a life-changing decision to work with a business coach. I was challenged to be accountable for my decisions. Since then, the results have been incredible for the business, as well as my personal life. I recommend every entrepreneur engage with business coaching. I don’t quite agree that, to be successful, you need to have luck, high IQ, or great academic qualifications. Although this is not conventional wisdom, I hear it all the time. I believe everyone is capable of huge success, if they focus their resources on particular goals and run their own race. I’m a believer in the “power of positive thinking”, hard work and resilience as the bedrock of entrepreneurial success. Successful people create their own luck, they envision a roadmap, make decisions and prioritise their goals. But it’s not always easy to focus and not get distracted. Those who truly make it find ways of overcoming obstacles, and that’s the resilience which separates the good or great, from stellar performers. If I had known how hard it was to start and run a business, I would have started much earlier, in my teens. I was born in Uganda and come from a family of entrepreneurs. But, until now, I had never appreciated what sacrifices my parents had made to succeed in their professional lives. My mother, for example, worked for Tata Motors Uganda for over 30 years as a secretary, medical officer and sales officer all at the same time. She had such great people and multitasking skills and was trusted by her bosses to do all these roles and earned a decent living. She never took a holiday or a day off sick, as I can remember; it was incredible. Although she wasn’t academically highly qualified, she became one of the most valuable and successful employees in Tata Uganda’s history. Africa is full of such women – “super mom entrepreneurs”. We must empower them with the right tools to create sustainable businesses. At Goldswans, this is our vision. What I have learned as a business leader is that people will bring different skills to a company, and the success of a firm will depend on how it harnesses its resources. It is a skill in leadership to promote diversity and collaboration in the workplace. The “Africa is Rising” rhetoric is almost 10 years old now. 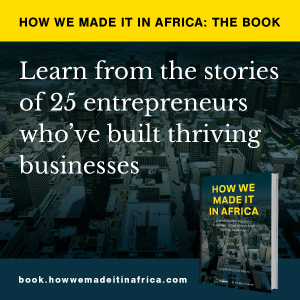 In that time, Africa has experienced huge growth in many industry sectors, notably agriculture, oil and gas, energy, telecoms and manufacturing and technology. What is interesting in all this is that despite several credible forecasts showing the future potential of its youthful population and industrialisation opportunities, Africa has been slow to grab the technology opportunity. I believe this is where we need to focus. Policymakers, and private and public-sector initiatives ought to create an environment that attracts, develops and invests in innovative technologies. Technology will be the enabler that unlocks trade and investment in established industries. At Goldswans, we embrace partnerships with companies at the cutting edge of technology and help our clients design and deliver tech projects. We have invested in healthtech, cleantech, agritech, education tech and fintech. We live in the Fourth Industrial Revolution, whereby everything that we do in the future will be driven and dominated by technology. What’s even better is that with new education platforms such as Coursera, Udemy and Google, the opportunity to learn, create and deploy is huge – at a much lower cost than would be for mainstream education channels. Africa can be competitive and be a global leader in innovation. Mobile banking, such as M-Pesa, was born in Kenya. On my travels across the continent, I have met entrepreneurs who are creating amazing products and services. So, collectively, we must support them with funding and coaching to accelerate new business growth and to scale up. We are looking at collaborative partnerships with leading organisations, including Seedstars, the Kellogg Business School, the Oxford Skoll Entrepreneurship Centre and VC4Africa to connect Africa with opportunities, advance social innovation through transformational change and to identify outstanding business proposals offering novel strategies to meet some of the most pressing global challenges ahead. We must combat these challenges: environmental, housing, security, unemployment, healthcare and urban migration. And, as the world’s population explodes, the power of technology innovation ought to drive sustainable change. But we must act before it’s too late.